Small building of 4 floors with elevator and low general expenses. Ideally located on the Grand Prix departure with a magnificient view on Hercules Harbour, the Roc and even up to the Monte Carlo Casino. Two big car parks located in Shangri La next door building. The apartment is rented until June the 30th 2019 with the cellar and a car park for 7.181 € per month and 200 € for buildings expenses in addition. The second car park is rented for 250 € per month including building's expenses. Small building of 4 floors with lift and low loads of co-ownership. 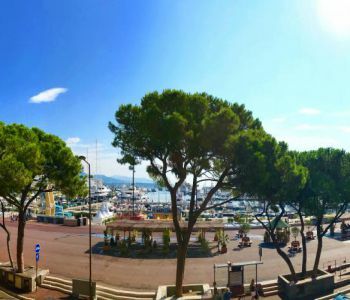 Ideally located on the departure of the Grand Prix with a very nice view on the Port Hercule to the Monte Carlo Casino. The Condamine district, its market, its merchants, the proximity of schools, the many events taking place on the Port Hercule make this location a favorite of locals. Apartment in mixed-use type 3 rooms for sale with a cellar. A beautiful balcony with a nice view. A must see. Possibility to buy car parkings in Shangri La, next door building.